Do you Struggle in Enjoying the Bible? When you open your Bible, do you get frustrated or easily distracted because you don't understand what you are reading? How about when you read a verse or book of the Bible, do you understand it? Do you think to yourself, I wish I understood what that meant? If you ask yourself any of these questions, then you need to check out the Enjoy the Word Online Bible Conference! I really can't wait for this conference because I love so many of the teachers speaking. Also, because I can listen in my own home, in the time frame that works best for me. If you follow me at all on social media, you know that I enjoy Risen Motherhood & God Centered Mom podcast. They are all speaking at this online conference. Along with Katie Orr, who is one of the main speakers hosting the event, who wrote the Focused 15 study method. 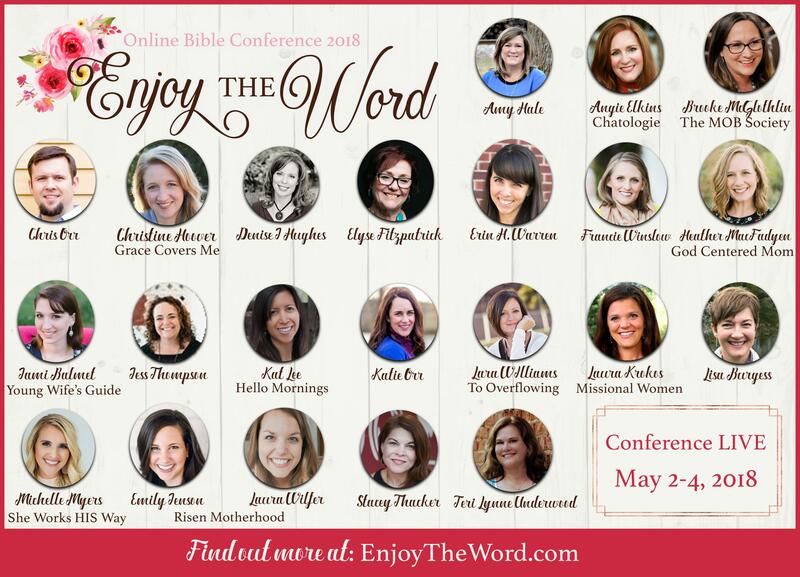 I hope that you check it out or even join me online to hear some amazing teachers speak about the Word of God, their love for it, how the Gospel applies in everyday life and motherhood, and ways to dig deeper into the Word. I have no doubt you will enjoy this! Come Join Me - HERE!